Getting to the Heart of What Matters in YOUR Life! This is what the Sandy Brewer Show is all about! Congrats on a super show and service to mankind! I learn something new every time! I love listening to your radio talk show it�s fabulous. Great show today! Very cohesive, informative, smooth flow, understandable at many levels, dialogue was beautiful. It's so good to hear your wisdom shared with all of us. Thank you. Sandy is a dynamic force of guidance and inspiration. I enjoy listening to your wisdom and I always come away with a better clarity. A refreshing and welcome addition to the airwaves. Thursday October 29, 2015 @ 11:00 AM PDT. THE SECRET KEY TO CREATING THE RELATIONSHIPS YOU TRULY WANT. Relationships can be tricky - whether purely social or especially with those closest to you. Listen to Behavior and Relationship Expert Sandy Brewer, PhD, as she answers your questions and brings her 40 years of experience providing time proven, powerful and practical tools on how to enhance your personal relationships and create the ones you don't yet have. 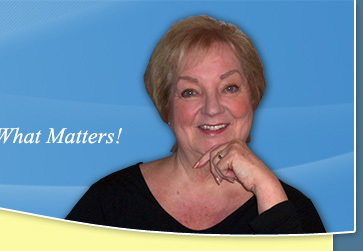 Experience the powerful, healing voice of Human Behavior and Relationship Expert, Sandy Brewer, PhD. Sandy brings her experience of over 35 years as a counselor, International speaker, and author of her award winning memoir, Pursuit of Light, an Extraordinary Journey. She provides practical and empowering perspectives to inspire possibilities of Hope and Healing. Sandy captivates and entertains with her unique ability to address questions with wisdom, practicality and humor. With her "been there-done that" kindness and grace, her no nonsense advice provides a grounded approach to meet today's challenges. Call in at 800.930.2819 and get practical solutions to your problems as Sandy provides empowering perspectives to meet and overcome your personal challenges while Getting to the Heart of What Matters in YOUR Life. Unable to call in during the Show - but have a question important to you? Email Sandy at Sandy@SandyBrewerShow.com and, time permitting, Sandy will answer your question on the air! This show will be available on www.TheDrPatShow.com or www.TransformationTalkRadio.com via KKNW at KKNW AM via KKNW at KKNW AM 1150 Seattle #1Alternative Talk and below, too. The Topic: The Secret Key to Creating the Relationships You Truly Want. On Monday, July 7th, 10 AM PDT, Sandy guest hosted Seattle's voted most popular call-in talk radio "The Dr. Pat Show" on KKNW 1150 AM. Sandy was following up with her main theme of Getting to the Heart of What Matters in YOUR Life. The topic: HOW DO YOU MAKE LEMONADE OUT OF LEMONS WHEN YOU CAN'T FIND THE SUGAR? She provided inspirational insights and practical applications of value to the callers and the listeners as well. 'Tis the season of rebirth and renewal -- a season and reason for giving and receiving. It is a time for opening ourselves to receive and to give the invincible love and light that is the core of all that we are. In good times, in tough times, we can remember that or we can forget it, but we cannot change it. Celebrate this season by �letting your little light shine" ever more brightly as the perfect expression of you. For YOU are the greatest gift of all! Discussion of Anger and exploring the underlying emotions that anger covers. How to deal with the anger and emotions and provide practical tools on how to move to empowered living. The Ups and Downs of Fair and Unfair! What do you do when bad things are happening to 'good' people and good things are happening to 'bad' people. Join us to find your way out of the confusion of fair and unfair! Creating the Relationship You Want - Is it too late? Continuing our dialogue: Looking for the ideal in either an established relationship or creating a new one? Too often the 'perfect one' turns out to be not quite so perfect! Create a new perspective of possibilities as we consider the one ingredient so often overlooked in progressing toward that ever so ideal relationship. Too late? NEVER! Practical tools for finding the wisdom in any experience and letting the rest of the baggage go. Learning to empower yourself to not only hear your own voice, but to follow it! He Learned to Fly -- Discovering the Jonathan Livingston Seagull in each of us. How to be singularly, wonderfully you and spread your wings and fly. Anger � What to do when the light you are seeing turns RED. Join us for practical tools for dealing with a common emotion that can be debilitating. What do you do if you are in a relationship that is not working? Practical tools dealing with difficult relationships. An encore presentation.